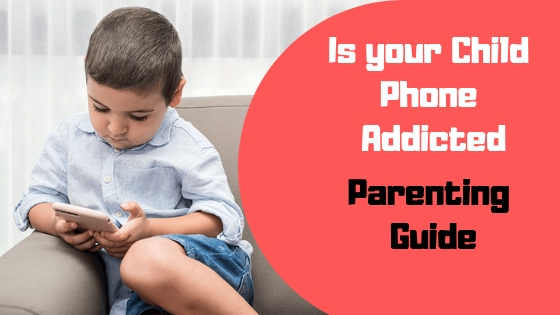 Is your Child Smartphone Addicted? Smartphone offers many amazing benefits to users. Rather than being an aid to our day to day life, it has turned out to be a necessity. Many of us feel handicap without smartphones, so how can we blame the poor kids? In spite of all the great things smartphones bestowed on us, addiction to the device is a new trend amongst kids. Parents are afraid of the smartphone so much that they are looking for apps like Parental control app to supervise the digital activities of kids. Smartphone addiction has taken a severe toll on kid’s health and day to day routine. Smartphone addiction is no longer a trend; it is a medical concern. How do you identify that the mobile phone monster has captured your child? Children, overly consumed in their virtual world; thus, they lack human interaction which leads to anxiety and depression in them. A cell phone is a significant interruption between family and friends. Using cell phones in social interactions is considered bad behavior. Pulling kids away from cell phones causes more trouble. They get aggressive and uncontrollable which triggers anxiety level. Kids across the globe are facing insomnia and sleep irregularities due to the addition to smartphones. Many parents complain about kids using cell phones till late in the night and end up sleeping even later. This irregular sleeping cycle can cause many health issues like stomach problem, poor eyesight, hormonal disbalance, etc. Having sleeping issues at a young age can cause more problems in adulthood. The mobile phone is a powerful distraction for social relationships. 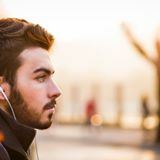 When your mind is engrossed in cell phone activities, it is barely possible to participate in a healthy real-world conversation. Have you all experienced this? Kids take these habits very lightly but eventually feel isolated by family and friends. As they grow old, they develop social awkwardness and get sweaty hands during social gatherings. Do you find your kids continually checking their cell phones? Do your kids get restless on the absence of there cell phones or digital gadgets? The obsessive-compulsive disorder is common amongst today’s kids. They are obsessed with their gadgets and continuously keep checking their phone for notifications and messages. Turing off their internet or the device can cause anxiety or even worse – trigger panic attack. OCD amongst kids is rampant and should be controlled at the right age. When mobile phones can cause severe damage to health, studies will have an impact. Agreed? Smartphone addiction leads to excessive distraction, draws children’s attention to text messages or game updates. Social media and games are the worst disturbances in any kids’ life. How much ever kids want to study, they end up getting caught in the inevitable maze. Parents tend to track their kids’ movement now and then. Tracking mobile phone activities is equally important because we know smart kids and their Smartphones activity. Moreover, experts advise not to interfere with children’s mobile activities, instead watch out for any signs of aggression or change in behavior. 1. Neglected Kids at home use gadgets as an escape. Such kids eventually turn towards digital gadgets for fun and virtual conversations. 2. Kids suffer from peer pressure at school. Peer pressure is a more significant concern for addiction in kids. 3. Social recognition through digital gadgets is widespread in kids. Many kids use it to gain attention within their friend circle. Being influential creates a sense of pride within their school group. 4. Find out any other reason that is disturbing them at home or school. Monitoring kids’ behavior can speak a lot about their phone addiction. In case your kids show any abnormal behavior with their constant mobile phone obsession, consult a counselor. Parental control apps are a massive success for your kids’ online safety and usage of digital devices. One cannot be omnipresent and keep a check on their child’s mobile phone addiction. The parental control app is a feasible way to restrict constant chatting and gaming on cell phones. If your kids are always busy on their cell phone, you can limit the screen time by setting time schedule for different activities like bedtime, playtime, game time, etc. Your kids’ application addiction can be reduced by app blockers as well. Block any apps your kids are addicted to and provide them access to those apps for a limited time in the day or week. Make your kids digitally smarter and not digitally addicted. Download the Bit guardian parental control app now for better use of mobile phones. Next Next post: What Is Keto Slim Diet and Does It Work to Burn Fat?